Wolf Gartens RR-1500 secateurs maintain the high quality German standard of garden tools you've come to know. It cuts up to 18mm it diameter which is slight smaller than the model below although this product is slightly more expensive due to the ergonomical handle design with soft rubber inserts. As a result they are a lot more comfortable to use and easy on the hands. The bypass cutting design also leaves a much cleaner cut meaning that the plant will consequently heal a lot faster. 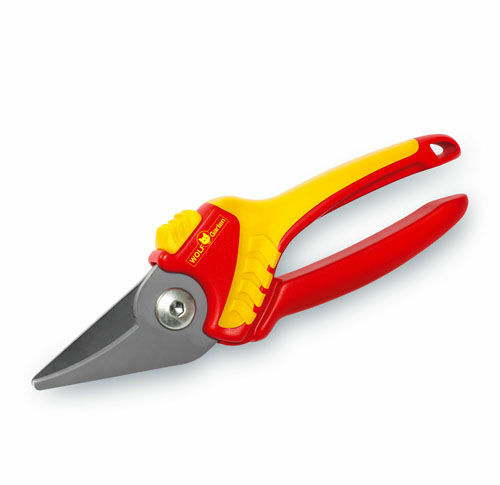 Like all Wolf Garten products these secateurs are backed by a 10 year guarantee!